You can find a list of sources and details for this room here. It is so darling!!! Love how clean and simple it is. Well done! 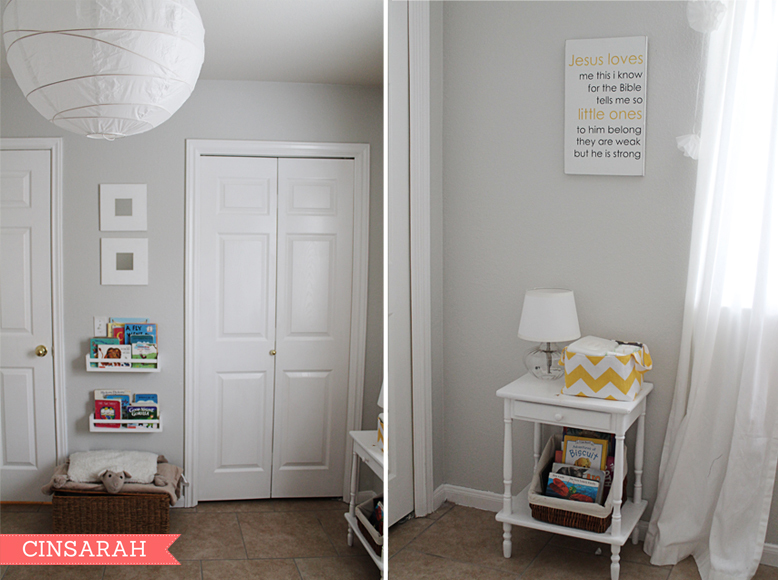 This is one gorgeous room- and your photos are beautiful! Visiting from Someday Crafts! I absolutely love the Jesus loves me art! that looks like a great space, and what a kind sister to be willing to share. i'm sure it's impacting her sleep...i know i couldn't do it, lol. so cute! i can't wait to hear the source list...especially those polka dot sheets!! VERY precious! You did a great job! Very very cute! Down to the very little details! i am in love with the space, great job! Thanks for linking up at Happy Hour!! this is def one of my alltime favs! so many details i love including those sheep--the perfect backdrop for making sweet childhood memories. mmmmmmm, i'm sleepy just seeing the lovely photos! I LOVEEEEEEEEEEEEEEE IT! IT'S SO SO SO SO SO CUTE!!! 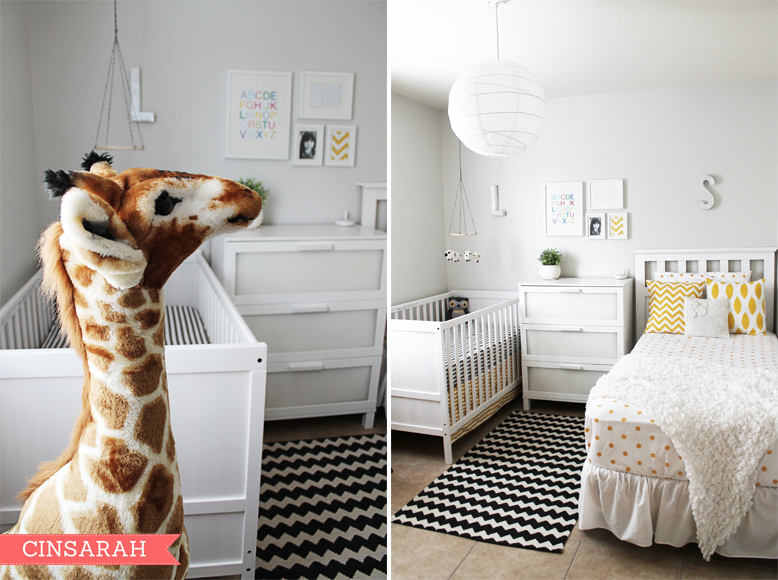 It's seriously the perfect nursery for sharing a room! Great shared room....LOVE how light and airy it is...I'm sure big sister loves it too! 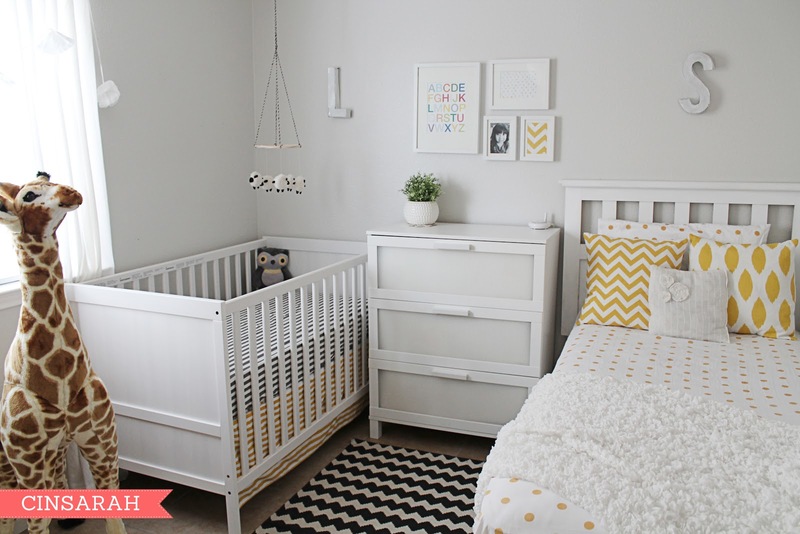 You've done a lovely, lovely job - the room is gorgeous! I've got this linked to my nurseries post too today, for inspiration! Those colors are so pretty! 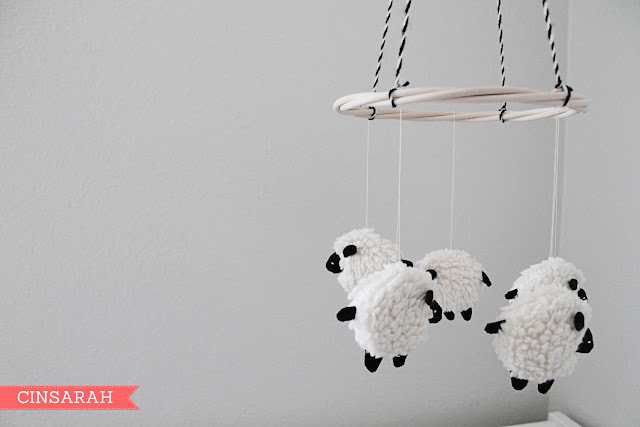 And I die over that sheep mobile - adorbs! Gorgeous!! Love everything about it!! Simply ADORABLE! Everything is in the right place, so much peace in there! Love it! Congrats for being Featured Yieiiii!!! You deserve it! I love it! 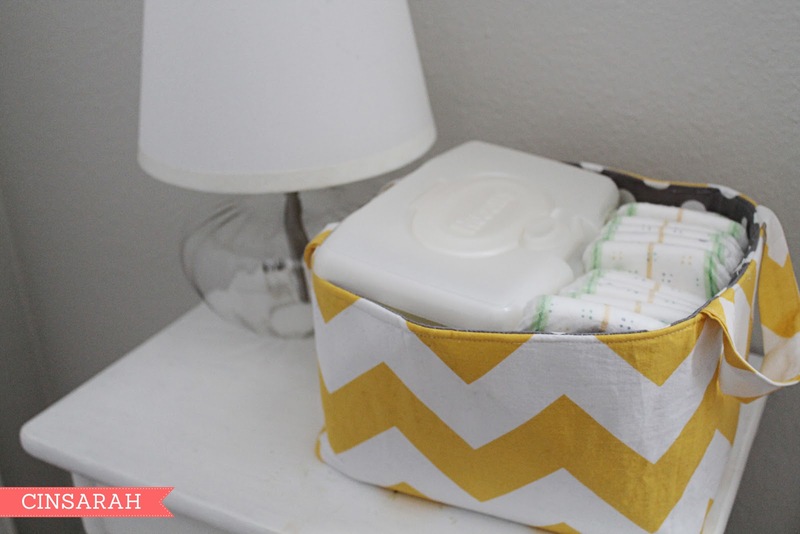 Is there a changing area? This is fantabulous! 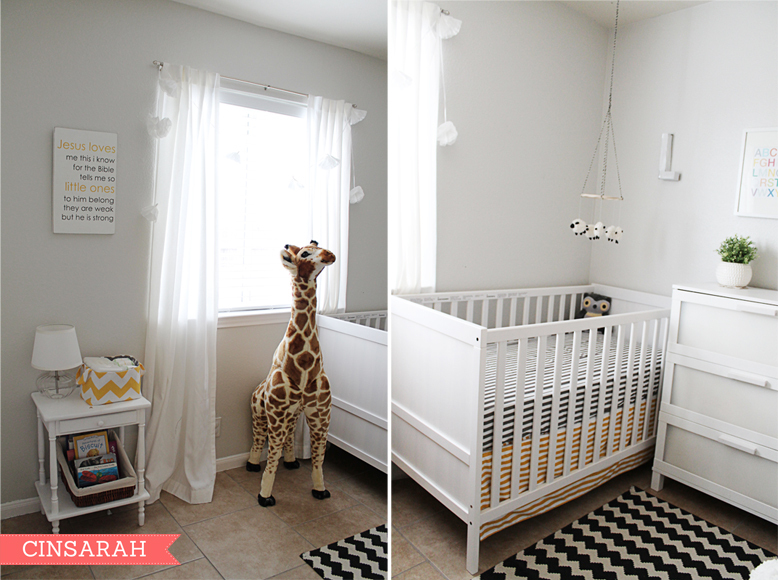 I especially love the giraffe which I have secretly wanted for so long! Congrats on putting together such a great shared nursery and on the YHL feature! Just popping over from YHL. Wow, this is fantastic! I love all the different patterns, especially those polka dot sheets! Very nice job! 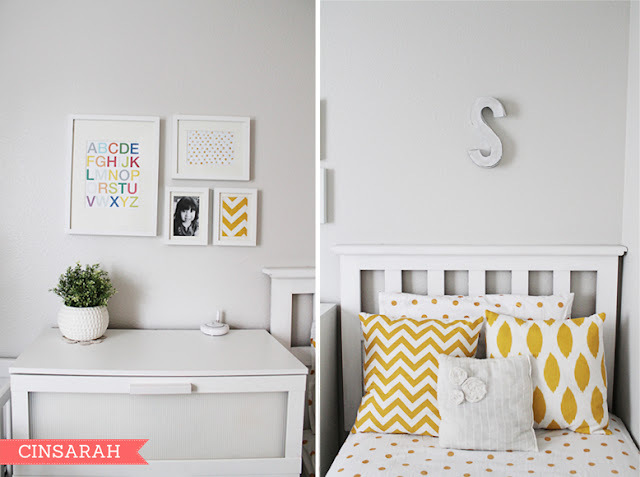 The yellow is very mature but still childlike and playful. The sheep are adorable! Well done! 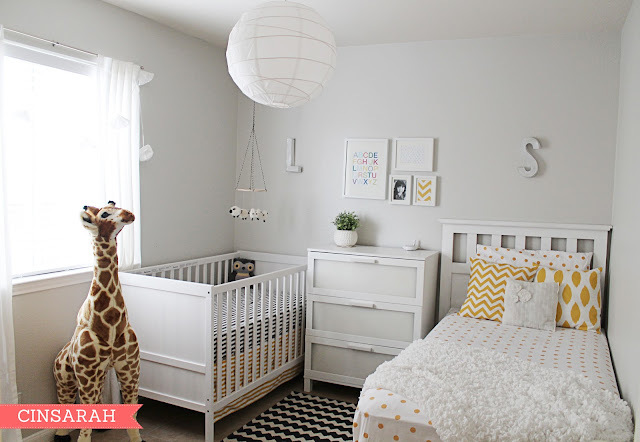 This room is too cute. I love the simplicity of the whole thing. Its so simple but not boring. Why didn’t you just move them around and make this one the boys’ room since it’s bigger? That would’ve made more sense. And your little girl could’ve kept her cute girly room. Turned our great!!! Im in the same situation, and I'm curious to how this arrangement has worked out for you so far?